Sandra Mansi didn’t expect much on a trip to Lake Champlain on July 5, 1977 beyond a typical summer’s day at the beach with her family. Seeing the beast, her husband quickly threw her and the kids back in the car and sped off. As they fled the scene, Mansi realized she’d just come face to face with the Lake Champlain Monster. Luckily, she’d gotten one picture. 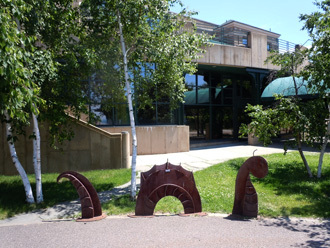 “Champ,” as the monster is known up here, might be the snuggliest plesiosaur in the world judging from the toothy grin embossed on oodles of plush dolls, t-shirts, key chains, and souvenir swag in Vermont’s gift shops. On the cap of the Burlington’s minor league baseball team, the Lake Monsters, he appears more focused as if a pitcher carefully scrutinizing the catcher’s call. The mascot still remains quite joyful. Whatever Champ’s actual demeanor, he is valued enough to be officially protected by the governments of Vermont, New York, and Canada, existing or not. He’s even earned an annual Champ Day celebration, with floats and all, in Port Henry, New York on the first Saturday of August. What Lies Beneath the Calm Surface of Lake Champlain? It’s unclear how far back the legend of Champ goes, but it feels as if he’s always been here. 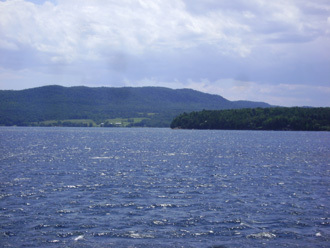 The Abenanki tribes inhabiting area called the beast “takoskok,” and explorer Samuel de Champlain himself described exceptionally large lake fish topping ten feet long with “a head as large as my two fists, a snout two feet and a half long, and a double row of very sharp, dangerous teeth.” The scales were so hard he declared, “A dagger could not pierce them.” Compelling to be sure, but he was more likely spicing up a story about a garfish. But no sighting titillated more than Mansi’s. The picture she snapped before she was pulled into the car offers the clearest evidence yet of the monster’s existence. 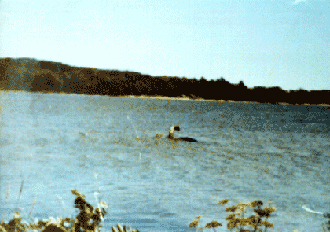 In it, we see a Loch Ness-like creature half-emerged from the water and looking away. For those who smell something fishy, there are a number of factors to consider. Why did she keep the photo hidden for four years before showing it to anyone? Why did she throw away the negative? Why can’t she provide other photos taken on the same roll? Whatever the case, the photo was indeed analyzed by several experts who amazingly found no evidence of tampering whatsoever. 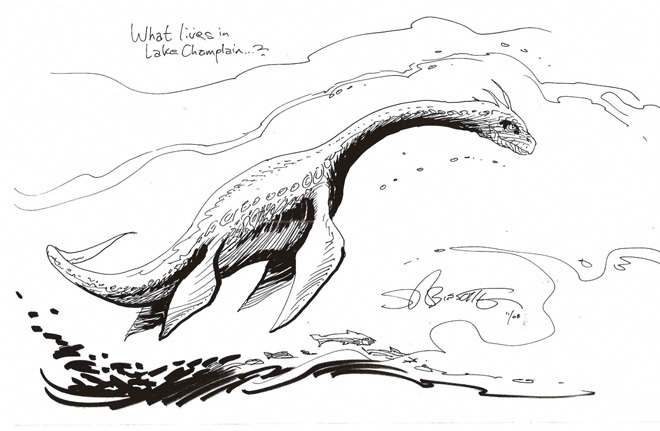 Champ or not, something was in the water, but few scientists consider it a sea monster. In 2003, a film crew for the Discovery Channel attempted to find out. They never saw Champ itself but did record strange high-pitched clicking sounds similar to dolphins deep in the lake. There are no known species in Champlain that make such noises. In the end, it really doesn’t matter if Champ is real or not, as the legend is so deeply interwoven into the cultural history of the lake. Something needs to account for the magical views, glorious sunsets, and sublime tranquility of Lake Champlain that make so many fall in love. For believers, the answer is something unknowable lying in the unexplored, deepest, prehistoric crevices on the lake floor. We call that Champ. ONE would like to extend its thanks to Stephen R. Bissette for allowing the use of his wonderful illustration. You can see more of his terrific work at his website: http://srbissette.com/.